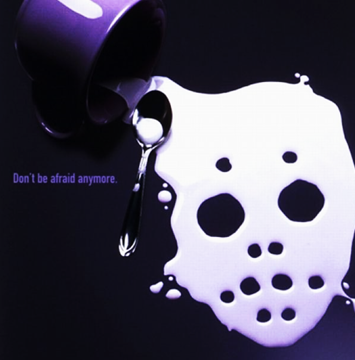 "Milk Kills," Study Says and Everyone is Afraid. Is This More Than Fearmongering Bullsh*t? Methodological Issues & Conflicting Evidence Would Suggest the Answer is "No!" After reading this article you won't have to be afraid of milk any longer. The editor of the British Medical Journal (BMJ) will be rubbing his / her hands. The paper by Karl Michaëlsson et al. (2014) that was published earlier this week, made it to the mainstream news in the US and Europe and did - at least at first sight - reflect well on his or her magazine. "The British Medical Journal saves you from intoxicating yourself with milk!" - That's great, right? Before we get to a detailed analysis of the analysis, let's briefly remind ourselves of the type of data we are dealing with. 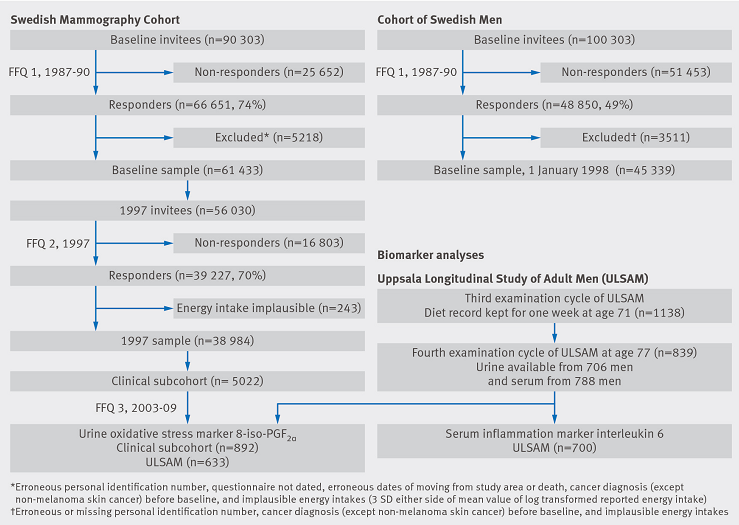 Data from the Swedish Mammography Cohort (all female subjects) and Cohort of Swedish Men (all male subjects) that was complemented by data from food questionnaire that were send out back in the late nineteen eighties (women) and -nineties (men) along with the invitation to participate in the respective cohort studies. Figure 1: Flow chart of the study sample (Michaëlsson. 2014). As you can see in Figure 1 we are dealing with a hell lot of data. Data of which we still should not forget that it is based on data of which Thompson, et al. were able to show that it has an accuracy of 45-52%, specifically for dairy products (Thompson. 2002). Now, in the study by Thompson the subjects were asked about what they ate in the last 30 days. The data in the study at hand, however, is based on what subjects said about how often they drank milk in the past 365 days! A fact that is not likely to make the data any more accurate. Furthermore, I assume that all of you will have heard of people who change their dietary habits over time, right? Well, for Michaëlsson et al. this is obviously news. Otherwise they would not have relied exclusively data that was gathered, when the subjects were enlisted for the cohort study in the late 1980s / 1990s, when they were trying to identify the reason that 15,541 of the men and women died over the course of the 10-20 year follow-up. Speaking of 20 years. That's the time that passed between being enlisted and speculating about their daily food intake when the 90 303 women aged 39-74 were enlisted in the Swedish Mammography Cohort and the 31st of December 2010, which was used as an end point for the analysis. Figure 2: Mortality raters (raw data) according to milk intake in glasses / grams (Michaëlsson. 2014). Malicious gossip would now probably have it that the additional 10 year gap, i.e. 10 more years to start eating completely differently, alone, could explain why we see a significant negative effect of drinking milk in the female, but not the male participants, for whom the interlude between the food frequency questionnaire and the end point of the study was ~50% smaller. Figure 3: Adjusted predictions of urine 8-iso-PGF2α, a marker of oxidative stress, in 892 women (based on cross sectional data, mean age 70 years) and 700 men (Michaëlsson. 2014). A similar criticism can be brought forward with respect to the allegedly "objective" measurements of 8-iso-PGF2α, a marker of oxidative stress, that was assessed in only 892 women (based on cross sectional data, mean age 70 years) and only 700 men, i.e. 1.4% of the female and 1.5% of the male participants, where the "trend" towards increased inflammation reached - once gain! - significance only in the female study participants (see Figure 3). Homogenization may in fact be a problem. You find that's bogus? There is evidence that suggests that homogenization, not pasteurization is a serious problem | more. What do commenters say? If you take a closer look at the hitherto published comments (retrieved on October 31, 2015) on the BMJ website, you will find commenters mentioning (1) the obvious association between having too little calcium <> fractures and the desire to increase ones calcium intake by drinking more milk (Kerr, J. Prof. of Epidemiology in Columbia), (2) the absence (or as Rom R. Hill from the Newcastle University says "significant omission") of a clear distinction between raw and pasteurized milk and low fat and full fat milk that makes the study, in Kerr's eyes, more or less meaningless, (3) last but not least, an unknown commenter mentions the issue of hormone, antibiotics and analgesic abuse in modern milk production and highlights that somatotropin (rBST) was still allowed in the EU, when the data from the study was collected. In view of the fact that rBST can affect hormonal and metabolic growth factors including human serum insulin-like growth factors (IGF), this could be another reason specifically for an increase in cancer related mortality (Allen. 2002; WHO. 2006). Learn more about dairy from Liz in a previous SuppVersity article, i.e. "Dairy - The Good, Bad or Ugly?" were significantly less likely to use bone building calcium supplements (15 % less in women). Of these three factors (1) + (2) could explain the increased mortality and cancer risk in women and (3) could explain why women, but not men have a higher risk of hip, but not general bone fracture (hypothetically!). Dutch full-fat dairy connoisseurs have a 1% reduced all-cause mortality risk for each 10g of full fat dairy consumption per day (Goldbohm. 2011). 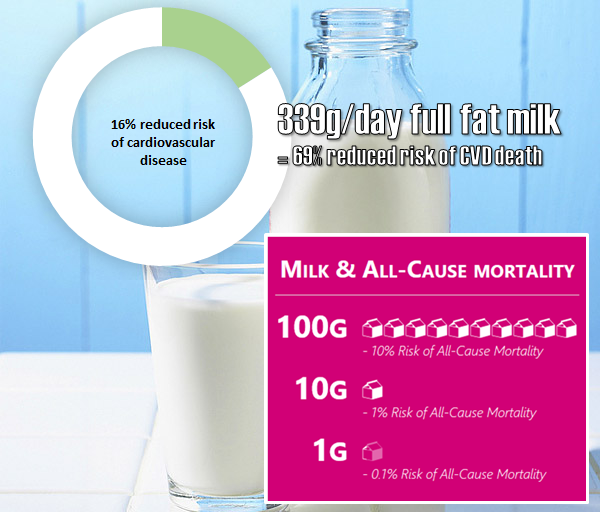 And in spite of the fact that several other studies find no beneficial effects of milk consumption of CVD or all-cause mortality (e.g. non-significant -23% in partly adjusted model in the Whitehall II study), it appears very unlikely that "milk kills". That this statement makes appalling headlines and will get a lot of clicks on the Internet, on the other hand, stands out of question | Read the whole paper for free @ the BMJ Website make up your mind and tell me on Facebook what you think. Allen, Naomi E., et al. "The associations of diet with serum insulin-like growth factor I and its main binding proteins in 292 women meat-eaters, vegetarians, and vegans." Cancer Epidemiology Biomarkers & Prevention 11.11 (2002): 1441-1448. Bonthuis, M., et al. "Dairy consumption and patterns of mortality of Australian adults." 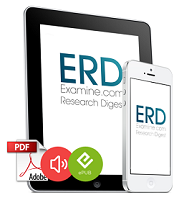 European journal of clinical nutrition 64.6 (2010): 569-577. Elwood, Peter C., et al. 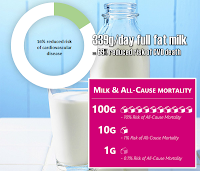 "The survival advantage of milk and dairy consumption: an overview of evidence from cohort studies of vascular diseases, diabetes and cancer." Journal of the American College of Nutrition 27.6 (2008): 723S-734S. Goldbohm, R. Alexandra, et al. "Dairy consumption and 10-y total and cardiovascular mortality: a prospective cohort study in the Netherlands." The American journal of clinical nutrition (2011): ajcn-000430. Michaëlsson, Karl, et al. 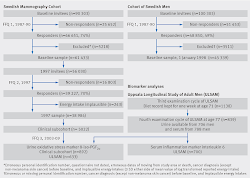 "Milk intake and risk of mortality and fractures in women and men: cohort studies." BMJ 349 (2014): g6015. Thompson, Frances E., et al. "Cognitive research enhances accuracy of food frequency questionnaire reports: results of an experimental validation study." Journal of the American Dietetic Association 102.2 (2002): 212-225.
WHO Expert Committee on Food Additives. "Toxicological evaluation of certain veterinary drug residues in food/prepared by the sixty-sixth meeting of the Joint FAO/WHO Expert Committee on Food Additives (JEFCA)." (2006).